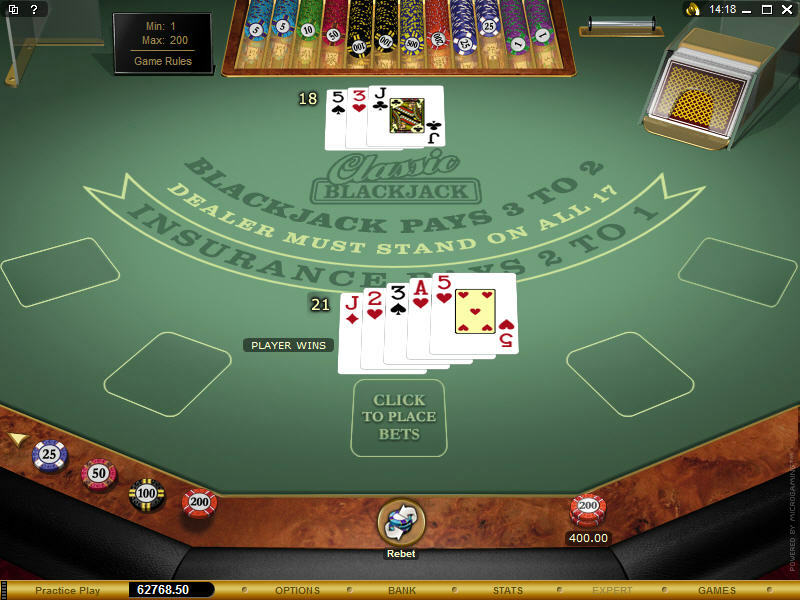 The Gold Series Classic Blackjack game is one of many blackjack editions that is developed and produced by Microgaming, the world's leading manufacturer of online casino software. It is a game highlighted by strong graphics, casino-level speed, world-class sound and rich options, all of which contribute to a realistic atmosphere that enhances the gaming experience. The game is played with one deck of 52 playing cards which are shuffled after each round of play. This is commonly known as the "random" shuffle. The object of the game is to beat the dealer. Period. That's possible in a couple of different ways - either by obtaining a total of 21 or under that is higher than the dealer's total, or by staying under a total of 21 while the dealer "busts" (exceeds 21). Along the way the player has the option of splitting pairs or doubling on specified hands. There is also the option of insurance, which can be purchased when the dealer has an Ace showing. What most people want to do in an online version of blackjack is be able to simulate a comfortable experience as much as possible, which usually means that of the traditional brick and mortar casino setting. Gold Series Classic Blackjack certainly gets the job done in that regard. Interested in reading more detailed information about Gold Series Classic Blackjack? If so Click Here for more details.